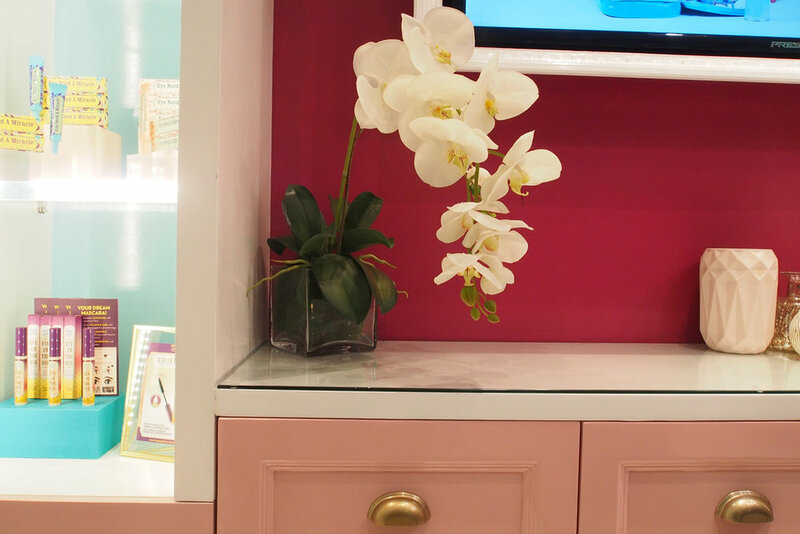 When we toured Happy Skin’s huge Trinoma store last year, they told us that they were launching more stores and locations in the coming months. True enough, Happy Skin Cosmetics has since expanded their retail empire and you can easily access the beloved homegrown brand nationwide. They also have multiple online retailers and, yes, happyskincosmetics.com ships internationally! Fast forward to barely a year later and we’re back shopping at their latest beauty haven – the Happy Skin Alabang Town Center branch. The trademark Happy Skin design is ever present at their 15th branch. The bright, punchy prints coupled with luxe rose gold and marble accents makes for an Insta-pretty space. The What’s New section we’ve come to love showcases their latest upon entry so you’ll be sure to stay updated. You wouldn’t want to miss out on their limited edition collections like their best-selling Disney collab from last year or this year’s Happy Skin x Disney Beauty and the Beast Lip Kit! Then there’s the entire collection releases that we always get excited about. This year so far, we got to play with the Happy Skin Festival of Colors collection, which included their first sunscreen products, an all-new concealer, plus the jumbo sized blotting paper. More recently, we tried to #SkipTheFilter and discovered key products for our anti-hulas makeup routine. This time, our little trip down South also had a superb bonus – we got to try out the complete Happy Skin Eye Woke Up Like This! Collection. True to Happy Skin’s bright-eyed beauty looks, these new eye products are sure to make our peepers look more awake and stare-inducing. We’ve already featured the lip products launched with the collection so this we're focusing just at the eye side of the product spectrum. 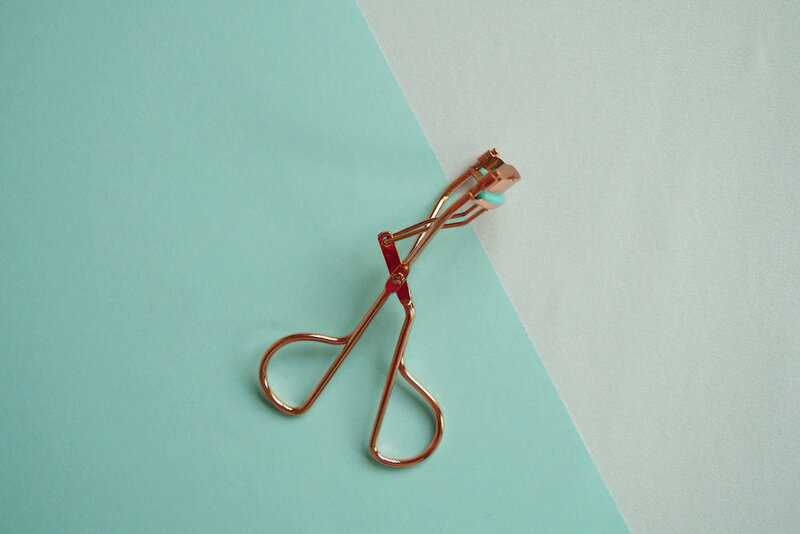 The Maximeyes Perfect Lash Curler (P499) is a lovely addition to any vanity table as the rose gold metal and teal pad make for a pretty pairing. 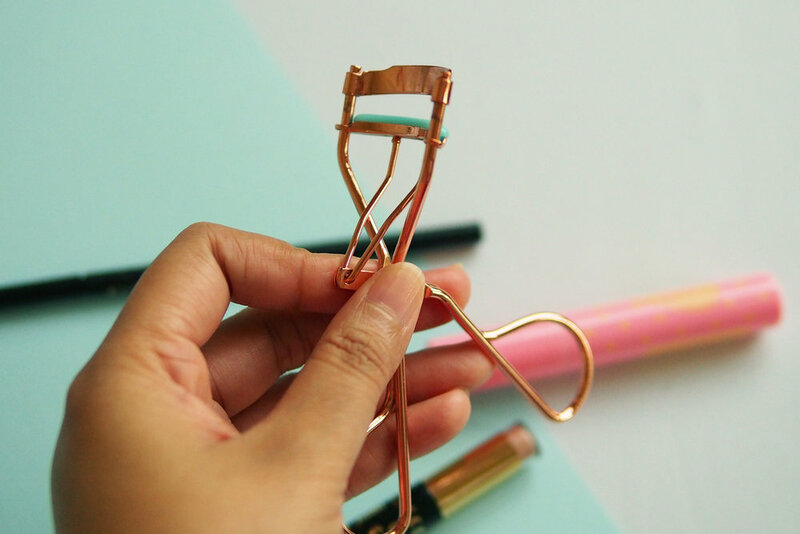 It was designed to be slightly wider than other lash curlers, so it catches more lashes on the corner and ends, while curving lashes right from the roots. While it doesn’t have the same heft as my other curlers, it does curl my stick-straight lashes well. It also takes a bit longer to get a proper curl but the end result comes close to the more expensive cult favorites! This also didn’t pinch me but do make sure to check that the shape of the curler fits with your eye shape to avoid any pinching. This next product is the one that got me most excited! 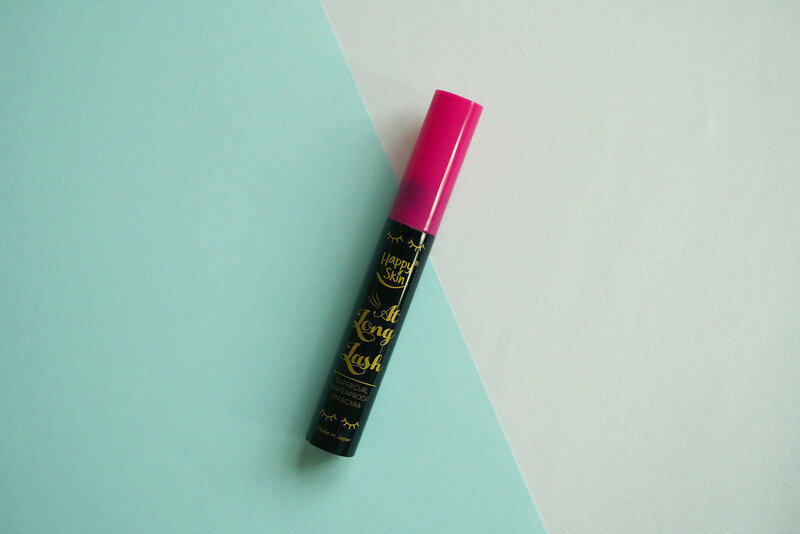 The At Long Lash Supercurl Waterproof Mascara (P999) has the country’s first bristle-free mascara wand. I was amazed upon seeing the wand and fell for the mascara deeper upon application. I have really poor eyesight and I can’t apply mascara if I’m not wearing my contact lenses. 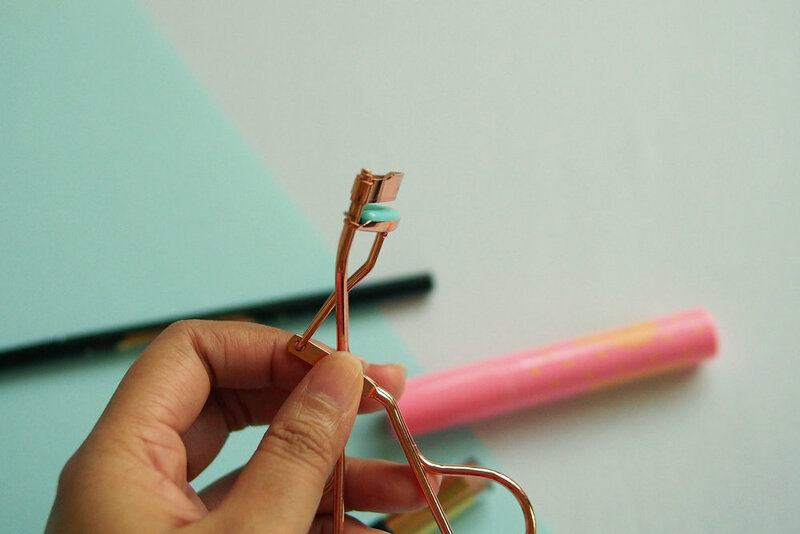 This bristle-free design enables me to use the mascara even when I’m wearing my glasses! I can come super close to the roots of my lashes without worrying about being poked with the normally lush bristles of other mascara wands. 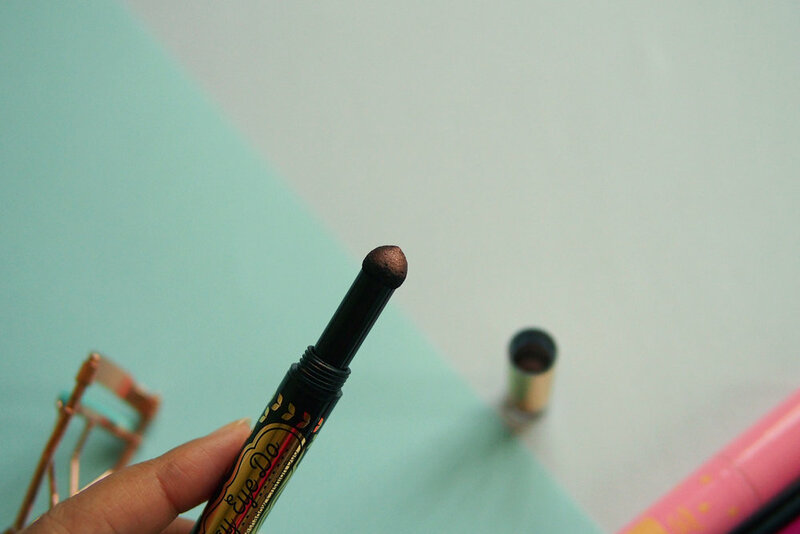 This feature makes it especially perfect for beginners who might fear poking their eyes with bigger mascara wands. One caveat though: I find that the best way to use the At Long Lash Supercurl Waterproof Mascara is to stroke your lashes from roots to tips. If I do the regular zigzag motion recommended by most mascaras, my lashes end up clumped together with no bristles to shake them free. If you do the straightforward application method, the mascara will coat your lashes evenly and set the curl all day. You also don’t need to worry about lash loss as Happy Skin infused this mascara with hydrolized silk to help moisturize damaged lashes and swertia japonica extract to strengthen lashes. Eye Love View Too Microtip Eyebrow Pencil & Spoolie Duo (P699) is the latest addition to the brand’s growing selection of brow products. Liz posted a great review for the Happy Skin Bullseye Brow Trio before while I swear by the brow pencil and mascara duo from the Happy Skin x Glam Squad collection. What makes this new one different though is that gorgeous micro tip that enables you to draw super fine lines that mimic natural brow hairs. This is also nourished with argan oil and vitamin E because Happy Skin stays true to giving us makeup that cares for our skin. It comes in two shades: Natural Brown and Taupe. The Say Eye Do Easy Eyeshadow Cushion Duo (P699) makes it easy for us lazy eyeshadow lovers to do their eye makeup. While I love the effect of a gorgeous eye, I usually don’t have the time for an extended routine but this argan oil-infused single product makes sure that we can get our eye done in no time! The double-ended pen has two fool-proof shades perfect for contouring your eyes – the lighter Champagne and the deeper Espresso. Mix and blend these two and you’re sure to get multiple looks that can take you from day to night. I love applying Champagne all over my lids and putting Espresso in the outer V, blending outwards to the crease for a quick work look. For a night out, I’ll use blend Espresso all over, reapply a second coat near the lash line as a pseudo eye liner, then dab the Champagne shade on the inner corners of my eyes for that extra pop. It also doesn’t dry out the skin because of the argan oil in the formula. Plus you can really be accurate in removing any makeup mishap you might have made. Overall, Happy Skin’s latest Eye Woke Up Like This! Collection is a win in our beauty book. The brand keeps on surprising us with each new release, and these latest ones just upped the makeup ante even more. We’re pretty sure they’ve got so much more planned and we’re already excited! What’s your favorite Happy Skin product/collection? What are you most excited about from this collection?